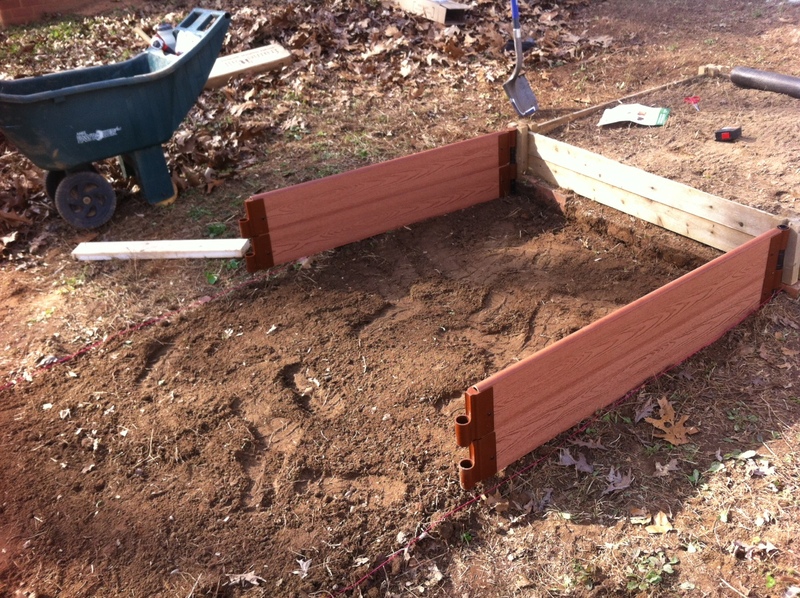 I decided to use raised garden beds instead of digging in the ground because it seemed easier and honestly, I’m a bit lazy. 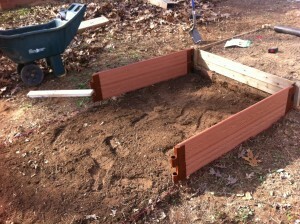 It also helped that there was a 4X4′ raised garden bed in the backyard from the previous homeowner. I didn’t want to go too big or too small for the size, so like Goldilocks I chose a size in the middle and settled on a 4X8′. Frame It All variety. It seemed easy enough to put together and that it would hold up. Once I got home and opened the box in the backyard to start the assembly process, I realized there were a few broken pieces. 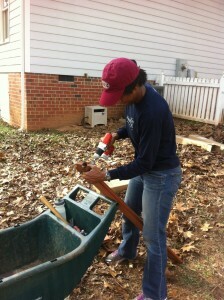 One to never let an incomplete set stop me, I plunged ahead with the help of my husband. 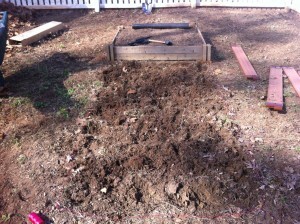 After an hour or so, including preliminary work like leveling the ground, we had a raised bed. 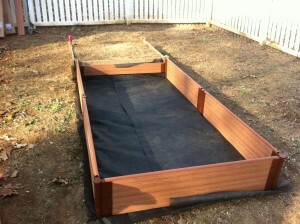 We also put down a screen to prevent weeds from growing. 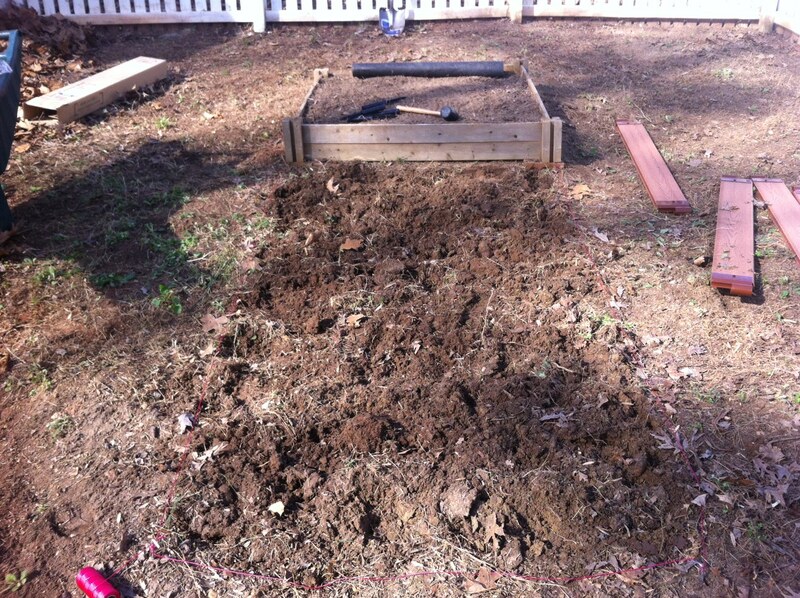 Adding dirt was a step for another day. It was enough effort to get the thing built.